I thought I would be able to do it, but I can't handle her voice. Sometimes authors need to know when to let the control go and allow someone else to put that work in for them. I might still have read it if I could deal with the voice. I also can't deal with her repeating for the first hour how "normal" and everyday she is just like the listener. I get it....you're also married to someone who can take you to the Oscars. 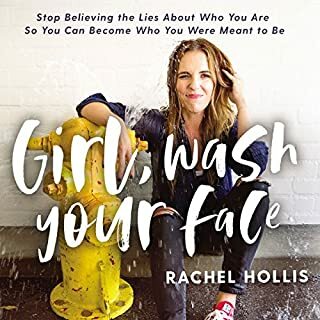 Not relatable....I really wanted to really like this book like all my girls did and rave about it...but alas, I guess I'm not basic enough to sit through it. Sigh. I'm returning. I went into this book knowing almost nothing about Steve Jobs and found out he is quite a character! I laughed quite a few times at this book because he just did a lot of funny things. 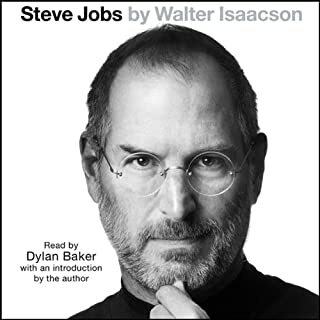 I liked this book very much but there are times I wished it told more about his life and less about Apple. I reader began to irritate me after a while but I promised to soldier on and finish this book. Overall it was a good book and I'm glad I did read it but I probably wouldn't do it again. There were just parts that felt like they went on forever but I do understand that although living simply, Jobs was terribly complicated. 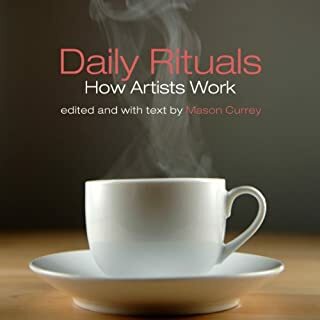 This book was very interesting but felt a bit "listy" for lack of better term, but then again it wasn't meant to delve into every individuals life in depth for chapters upon chapters. There was a lot of great information without being overly lengthy, which I found really interesting and leaving me with "hmmm, never knew that" moments. It's an enjoyable read and the time went quickly with it. I did find myself looking forward to listening. Everything I wanted to know and more! 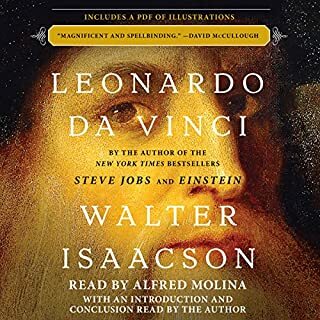 I was a little skeptical of this book at first probably only because I thought I knew all there is to know about Davinci but I was wrong. This book taught me so much more and mostly that he was one of the most important creative minds to ever exist. This was not another "Davinci" code type book for those wondering if it is. 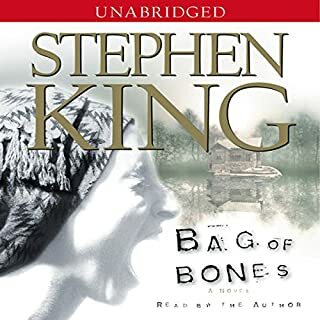 I loved ever part of this book even if It went on in some parts a bit, it was ok with me. By the time I was done, I wanted more of Davinci! What an interesting, relatable and incredible person. The author definitely made me feel like I really knew him and the reader was terrific. Would you consider the audio edition of Troublemaker to be better than the print version? I loved her reading because she's funny and brings her own spirit to her writing which made it that much more enjoyable...haven't read the print version. This book was great! I couldn't stop listening to it. Leah is genuinely funny, witty, intelligent and honest. She shows up like your best girlfriend who's got your back. 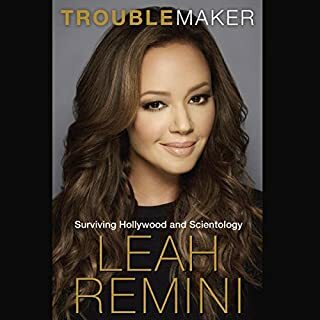 You can tell that her heart was really in the church of scientology and I commend her for leaving and writing this very eye opening book! I learned a lot about how Scientology works and what it really is. I kind of wished the book didn't end...so now I watch the show which is also great. I would definitely read this book again and have recommended to my friends. Loved this book more than words can say! This information is not new to me, however the way it is presented and the detail of the scientific explanations I. This book, gave me "ah ha" moments I haven't previously had. 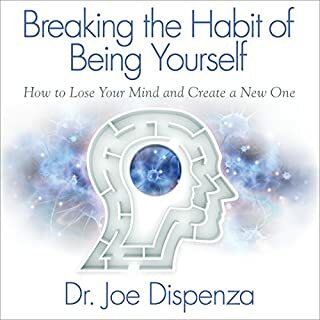 I thoroughly enjoyed every minute of this book and I would recommend it to anyone who feels like they need a true change in their life. The only downside of this audio version is that it does not come with pictures of some of the things he speaks about but he also has a website and there is plenty of info about his and this book online that you could research if needed. I loved this book and recommended it to my "ex boyfriend" who just began reading it at my suggestion. Interestingly enough also, when I began to read it 2 weeks ago I thought "my friend Marti would love this book" and I was going to call him to tell him about it. It was in my mind for several days and with that said, he sent me a message 2 days ago asking what I'm reading now (this is since we share our reads often) and I told him this book. He said "no way man, I just bought this book yesterday" so that was huge for me in that just the very thought of calling him to go out and get this book and thinking about it, actually manifested. Your thoughts are very powerful. I trust that. Enjoy! I know that I did and I'll be applying all of it. I really wanted to like this book but I ended it feeling disappointed. 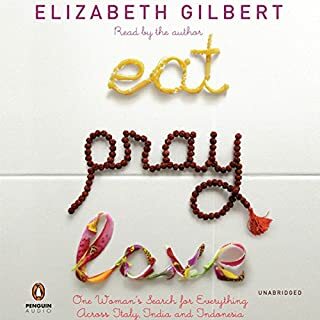 This book made me feel like I was listening to a kid in high school dropping names of people, constantly talking about their spiritual tattoos and a bit of angry and ignorantly spoken moments about India. 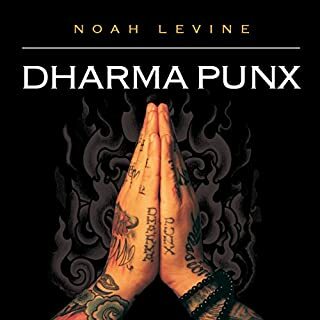 I wasn't inspired at all to seek the path of Buddhism and felt like, if anything, this book was a plug on how to look like your a cool spiritual punk rocker by going to punk shows, strange diving and wearing a bunch of tattoos of deities. Now, I do respect his journey and that he cleaned up his life... but what I mostly got from this book is that he spent a long time not being able to really dive into his practice because it wasn't comfortable to leave his punk rock life behind. He goes to India and complains about the monasteries and his inability to really commit his life to the practice directly before calling a hotel manager ignorant because he called his buddy a fake sadhu. Also, this guys voice was almost intolerable after a short while and he has a slight lisp which made we question some of his words occasionally. He read poorly. The book itself is poorly written and uninspiring to me. Now if you would like to read a book about how to be a punk rock Buddhist, this is probably for you. It's not for people interested in a true journey. I enjoyed this book a lot. I thought the story was great however, it took nearly 35 chapters to get near exciting for me. I would still recommend it for a read.